Study Concludes - Quilting is Good For You! 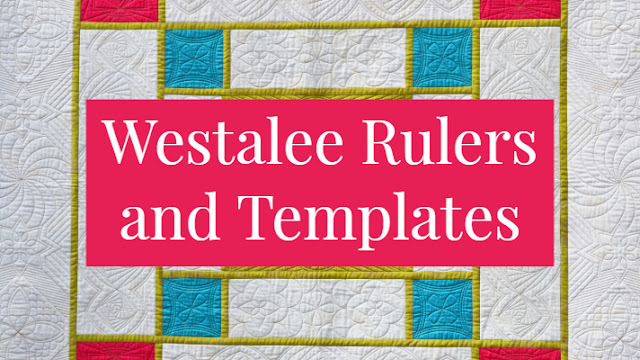 Well we've known it for ages but...ever wondered why you enjoy quilting so much? Because it is good for you and makes you feel better seems to be the answer from two academics from the University of Glasgow. 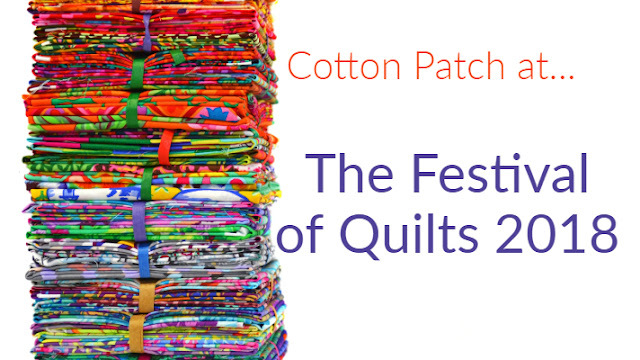 In an article published in the Journal of Public Health, Emily Burt and Jacqueline Atkinson studied members of a quilting group to ascertain the link between quilting and wellbeing. The study found that the process of quilting and the links within a quilting group provided a whole range of positive wellbeing factors. Not only was the joy of expressing their creativity, the use of bright colours of the patchwork fabrics was found to be uplifting. 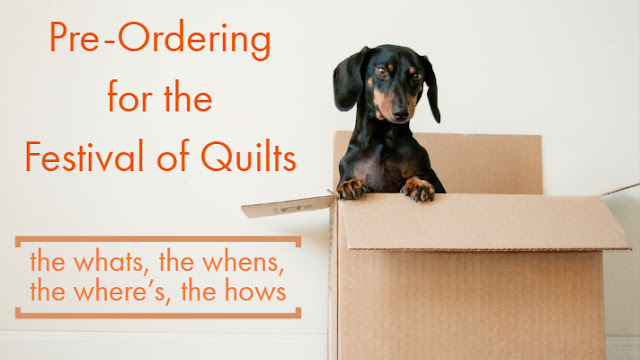 The production of quilts and sharing that end product by giving to family, friends or organisations such as Project Linus was also found to be uplifting. 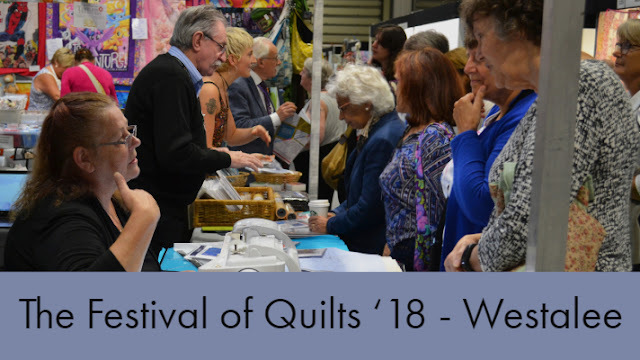 Finally the social side of quilting, the sharing of skills, the encouragement and motivation of others and the support that a quilting group offered was also noted as a significant factor. So you may not of realised it but that latest quilt that you are planning could make you feel happy in lots of different ways. 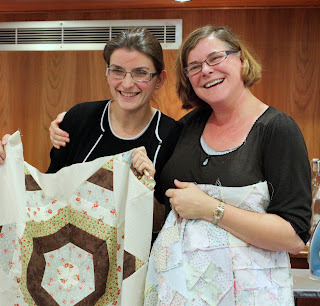 Happy Quilters! - Izzy and Sue having a great time on a quilting retreat in Bristol run by Christine Porter. Emily L. Burt and Jacqueline Atkinson. 2011. 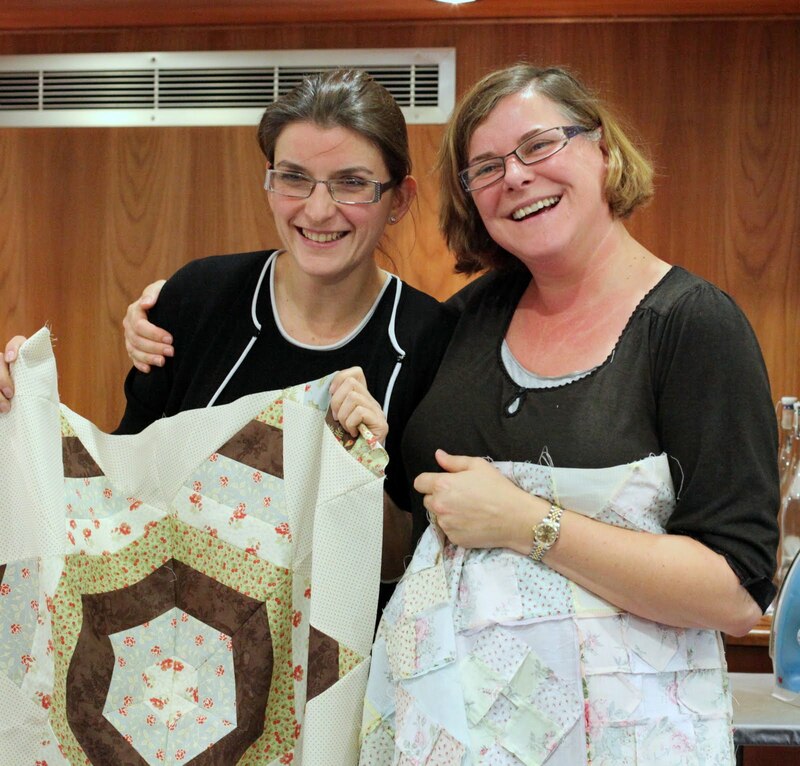 The relationship between quilting and wellbeing Journal of Public Health. The Daily Mail ran a story on it earlier this week - you can read their article here. This is very true. Specifically there have been links found between crafts like knitting and patchwork and quilting and the prevention of dementia and memory loss. What more excuse do we need!!? Denise you're right. Someone I know was diagnosed (incorrectly) with a form of dementia with a poor prognosis for the future. When a visiting doctor saw her patchwork and quilting that she had recently completed he realised that there was no way that the diagnosis could be correct! A formal apology has been received!